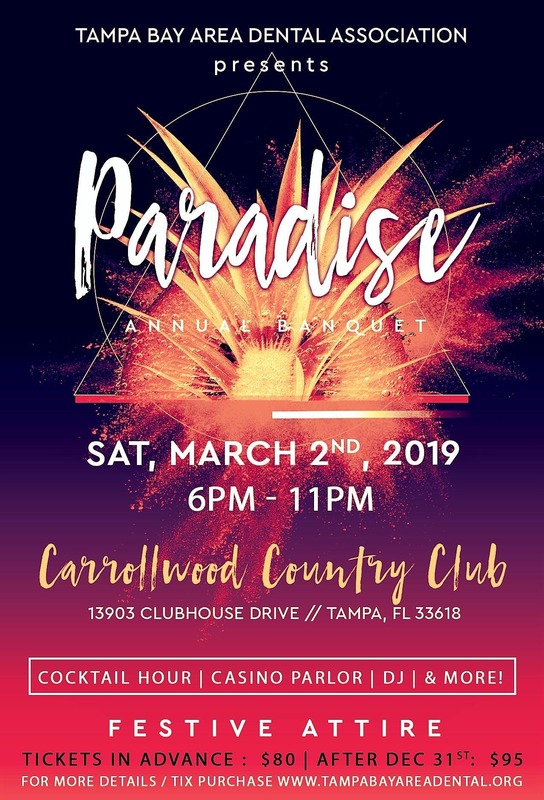 You are cordially invited to a night in tropical PARADISE in celebration of the 67th Anniversary of the Tampa Bay Area Dental Association!! The TBADA is also please to announce the launch of the Dr. William F. Marsh Scholarship Program in service to the Tampa Bay Area dental student communities!! Please join us as we bestow this honor upon him for his dedication and commitment to preserving the mission and legacy of the TBADA. CASINO PARLOR, DJ & DANCING, & MORE! !